Criminal convictions make life difficult in Tampa. 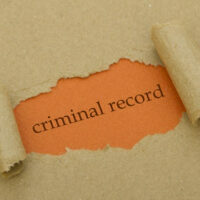 Most jurisdictions allow employers to consider criminal records as early as the initial screening interview. Furthermore, criminal convictions often make it difficult or impossible to find a place to live. Relief is available for many of these individuals, especially if the criminal conviction was a one-time mistake. Section 943.0585 of the Florida Statutes generally controls the eligibility for, and procedures involved, in this process. The rules cab be complex, so an experienced attorney is often needed to evaluate your case and assist with your formal application. Otherwise, the lengthy process may be a waste of time and money, even if you are arguably eligible. Some people need technical corrections. Clerks do make mistakes from time to time and identity theft is a big problem. As a result, many Tampa residents have someone else’s criminal history under their names. An administrative correction is usually available in these cases, often at little or no cost. Erasing a juvenile conviction is not quite as easy, but the process is largely mechanical. Assuming the person meets the qualifications, juvenile expungements are not too difficult to arrange. The state almost never contests these proceedings. Adult expunction and sealing, however, are completely different matters. The ins and outs are explored below. In a nutshell, Florida expunction completely eliminates the record as well as any associated documents or data entries. If the record is sealed, it still exists, but most members of the public cannot see it. The offense was not a disqualifying offense. Sealing is unavailable in most sexual offense and violent felonies, as well as certain major drug offenses like trafficking in cocaine. Indictment Not Presented: Generally, a person can have a record expunged if the prosecutor did not indict the defendant. A dismissal due to lack of evidence is probably insufficient. Instead, the indictment or information must have been nolle prossed, or there must be similar evidence of no probable cause. Indictment Presented: If the defendant was found not guilty at trial or pleaded guilty and received deferred adjudication (withholding of guilt), expunction is possible after a ten-year waiting period. In a small handful of Tampa cases, it may be possible to expunge or seal more than one criminal record. Only the trial or sentencing judge has the authority to expunge or seal a record. Florida judges have almost unlimited discretion in this area, and prosecutors have the ability to object to the requests. So, it’s very important to have a tenacious attorney at the hearing. Otherwise, your request may well be denied, even if it is entirely valid based on the technical qualifications. Expungement or sealing may offer criminal defendants a second chance. For a free consultation with an experienced criminal law attorney in Tampa, contact The Matassini Law Firm, P.A. Convenient payment plans are available.